This post is written by Olaoluwa Duro-Bello, Students’ Association (SA) Postgraduate Officer. On Thursday 26 July 2018, the LINK’18 Postgraduate Student-led Interdisciplinary Conference was held for the second time at the University of Nottingham Malaysia. I am grateful to the Graduate School for availing me this platform to share my perspective about hosting the event. Increase participation: In a bid to encourage more postgraduate students to participate in LINK’18, we rescheduled the conference from holding in September to July instead. We anticipated that during the summer break postgraduate research students (PGRs) would not be occupied with research assistant (RA) responsibilities while postgraduate taught students (PGTs) would be actively involved in the dissertation phase of their programme. Hosting LINK’18 in July would therefore appeal to most of our target participants. The change in the date yielded glaring dividends as the total number of abstracts submitted increased from 16 to 21 including 4 abstract submissions from PGTs. We also published our call for abstracts very early this year and publicised the conference on social media, via emails and by placing posters on notice boards and in workrooms. Introduce more awards: As part of the incentive for participating in LINK’18 we introduced two new awards “Best Abstract” and “Runner Up Presenter (Masters)”. We reckoned that an increase in participation should be matched with a commensurate increase in the number of awards to be won. Unfortunately, we had to cancel the latter award as there were only 4 presenters in the Masters category. Theme based abstracts and presentations: For LINK’18 participants were required to submit an abstract under one of the 5 advertised research themes drawn from the University pf Nottingham’s Beacons of Excellence. 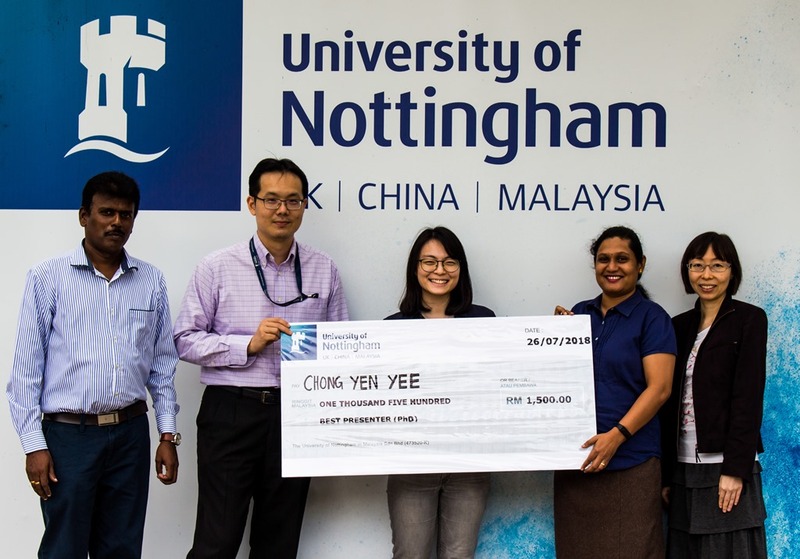 We were inspired by the University’s global vision of being recognised among the very best in the world and we wanted LINK’18 to showcase how postgraduate students at the University of Nottingham Malaysia are contributing to this vision. The feedback we received from participants regarding theme based abstract submissions has been positive. Expert judges: It is a long term vision to have students present their papers before an expert audience and expert panel of judges during LINK conferences. We edged closed to this goal this year by inviting 9 academics from the three faculties on campus to serve as internal judges in different research panels. They were all very receptive of our invitation and were a pleasure to work with. I look forward to more collaboration between postgraduate students and academics in future. Book of Abstracts: This year we printed a Book of Abstracts to initiate what might later become a recognised academic publication from University of Nottingham Malaysia. If this project is sustained, it has the potential of becoming a recognised academic exercise aimed at increasing the publication count for our postgraduate students. It will require standardisation, registration and a thorough peer review process as well as commitment from the next Postgraduate Students’ Officer. Finally, it was an honour to have Professor Deborah Hall the Vice Provost of Research and Knowledge Exchange deliver the keynote address. Some supervisors also graced the occasion to support their students. It is a welcome development to have such collaborations and it gives me hope that the future of LINK conferences in University of Nottingham is indeed very bright. LINK’18: Group photograph of the presenters, judges, members of Graduate School and Students’ Association, together with Professor Deborah Hall, Vice-Provost (Research & Knowledge Exchange) at University of Nottingham Malaysia. Best Abstract – Anusha Devi Nawoor, School of Biomedical Sciences. 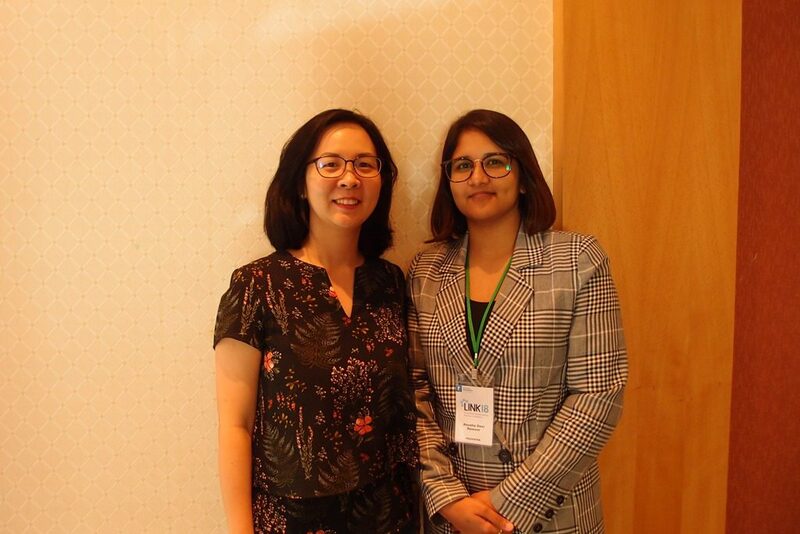 Image: (from left) Anusha & Dr Then Sue-Mian, Associate Professor at the School of Biomedical Sciences. Best PGT Presenter – Zerin Momtaz Chowdhury, Nottingham University Business School. 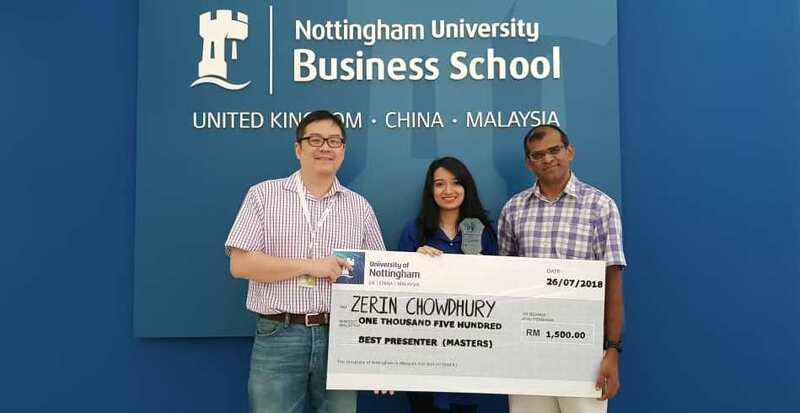 Image: (from left) Professor Kok Wei Khong, Faculty Associate Dean of Research for Arts and Social Sciences, Zerin & Dr Maniam Kaliannan, Associate Professor at Nottingham University Business School. Runner Up for Best PGR Presenter – Kumbirai Ivyne Mateva, School of Biosciences. Image: (from left) Professor Nashiru Billa, Faculty Associate Dean of Research for Science & Kumbirai Ivyne. Best PGR Presenter – Yen Yee Chong, Department of Chemical and Environmental Engineering. Image: (from left) Professor Sivakumar Manickam, Faculty Associate Dean of Research for Engineering, Professor Hoon Kiat Ng, Head of Department for Mechanical, Materials and Manufacturing Engineering, Yen Yee, Dr Suchithra Thangalazhy Gopakumar, Associate Professor at the Department of Chemical and Environmental Engineering & Professor Suyin Gan, Department of Chemical and Environmental Engineering. 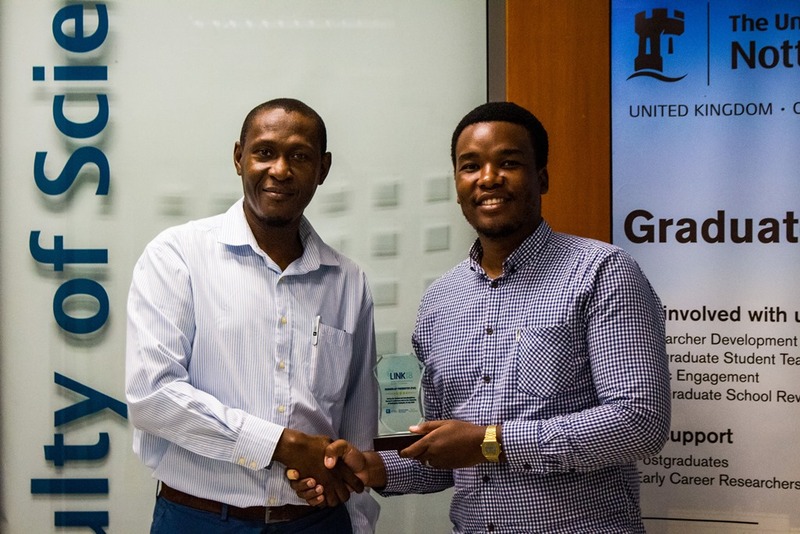 Read more about the winners of LINK’18. Feature image: Olaoluwa Duro-Bello was delivering his closing speech during LINK’18 Conference. 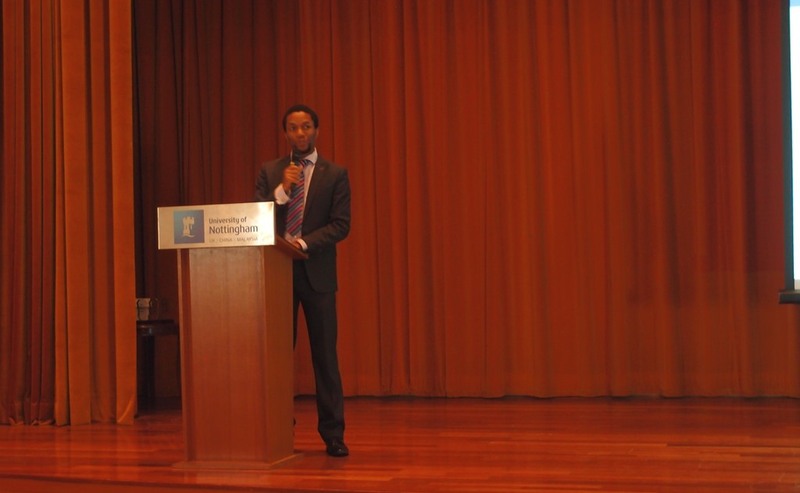 More information is available from Olaoluwa Duro-Bello, SA Postgraduate Officer at University of Nottingham Malaysia.